Started by Alvin Walker. Last reply by Los Angeles Tours Mar 12, 2013. Started by Los Angeles Tours Feb 6, 2013. Started by Sarah Taleen. Last reply by Los Angeles Tours Feb 6, 2013. Started by Elizabeth Beno. Last reply by Los Angeles Tours Nov 4, 2011. Started by Los Angeles Tours. Last reply by Los Angeles Tours Sep 20, 2011. 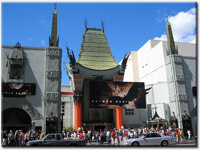 Started by Los Angeles Tours Jun 12, 2010. Created by Los Angeles Tours Nov 14, 2016 at 12:14pm. Last updated by Los Angeles Tours Nov 14, 2016. Created by Los Angeles Tours Nov 14, 2016 at 12:00pm. Last updated by Los Angeles Tours Nov 14, 2016.